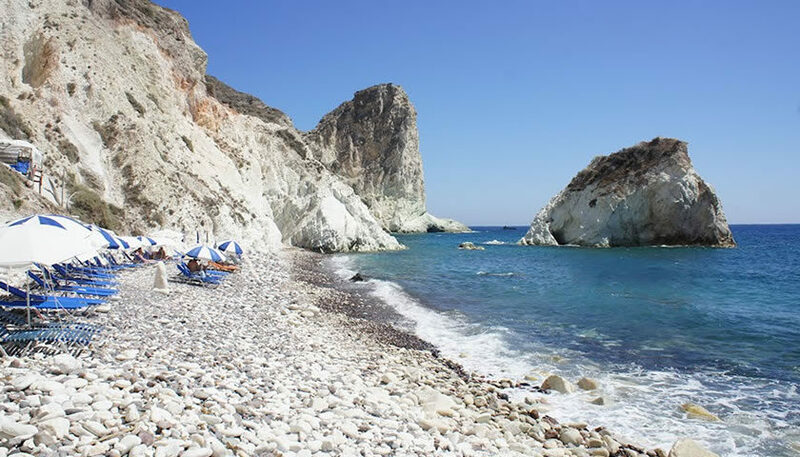 White Beach is a small beach surrounded by white cliffs at the Akrotiri area, right next to the Red Beach. 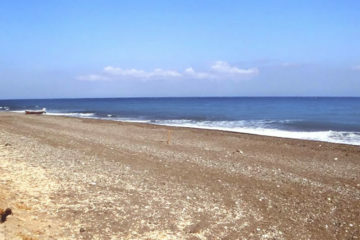 The beach is covered by black, gray and white sand and large white pebbles. It is difficult to reach so it is quiet and isolated, but you can find a few sunbeds and umbrellas. The waters are crystal clear and the sea is ideal for snorkeling. 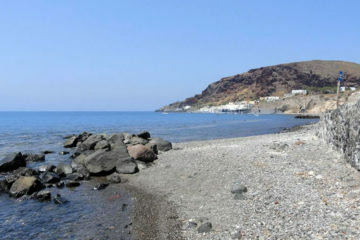 White Beach is one of the tourist attractions of Santorini and worth visiting for the unique scenery! 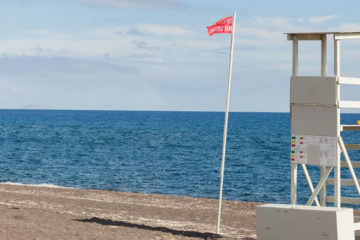 Access is possible by sea, taking the small boats that depart from Akrotiri Beach close to the Akrotiri’s archaeological site. If you want to get there on foot, there is a difficult to cross path from the nearby Kambia beach. There are also many daily cruises that take you to White Beach as well as to Red Beach and other beaches of the island.